Making a choice to employ a writing coach is an important step for an author. How do you choose? Ask a prospective writing coach how long they’ve been paid to write and edit. Ask about salaried writing and editing, editorial projects, articles, and books. Your coach should be able to answer the questions in years. Just like being an incumbent politician, that’s a record of work a seasoned coach gets to reference, and you get to check. That number of years is not any more important than those hard-earned Masters degrees. But it’s no less important, either. I had the pleasure of working with Steve Adams to help coach me and develop my memoir Stealing Home: The Road to the Perfect Game. There’s the whole element of counseling and listening that turns out to be much more important than any Magic Famous Acronyms from a school. Steve had his MFA, yes, but he also had practical experience in working with writers. A Masters can be helpful, but being able to relate to an artist who’s finding the voice of their story — that is crucial. Some people want repairs to their work. Others like to have the way suggested. 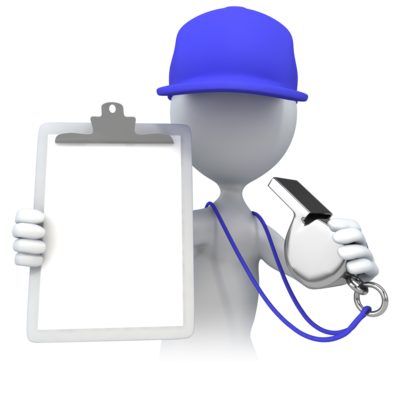 Your coach will know what you want because they will ask you, then do a test evaluation or a sample edit. Like choosing a therapist, surgeon, or minister, it comes down to what kind of person your coach is at heart: you hope it’s someone with integrity and a following who’ll vouch for that integrity and the value of the coaching. There’s no certificate that says Writing Coach, not even an MFA. I like to say that doing your diligence about experience is the best way to find a winning match with a coach. My brother Bob sent along this link from Salon.com. In a letter to the site’s advice columnist, a recent MFA grad struggles with the task of getting the words onto the page after attaining an MFA. Graduation from an MFA program leaves a writer with plenty of bad critique habits, the need to stay within that MFA style, and sometimes no better writing discipline than when they were accepted. Better just to keep on writing. An auto-didactic approach, to get specific. “Did you know,” he asked, “that no Nobel Prize winner in Literature ever has come from an MFA program?” He went on to add that he wasn’t even sure if a graduate writing program had ever produced a Pulitzer Prize winner. Well, the Pulitzer part was easy. I reminded Magnuson from my front-row seat that the Pulitzer Prize has gone to Michael Chabon, who wrote The Amazing Adventures of Kavalier and Clay for the 2001 award. Today I was researching a novel from the syllabus for the Novelist’s Tools seminar on my schedule at Iowa this summer. The 12 of us in the class been assigned The Bluest Eye, the first novel from Pulitzer Prize winner and Nobel Laureate Toni Morrison, who’s been through an MFA program. Morrison won her Nobel Prize in 1993, 38 years after she took her MFA from Cornell. There’s bound to be other MFA prize winners, but Magnuson was making a larger point with his errant report. An MFA will not ensure your critical acclaim or commercial success. Writers who judge themselves ready for the rigors of an MFA program sometimes look for such confirmation, usually as a result of what they learn about their writing. They also seek a secure place in life with a teaching position. But the advice from the Writer’s League audience assured us that even an MFA doesn’t automatically lead to a teaching job. “You really need a book as well,” offered one of the Michener grads in attendance. He added that there’s a good alternative in learning from your peers, by sharing books. “There’s too much emphasis placed on the MFA in the culture,” he said. “We teach, but only to a degree,” he said — meaning not only that the MFA’s object is the degree alone, but also that much of what makes a writer succeed can’t be taught in a classroom.